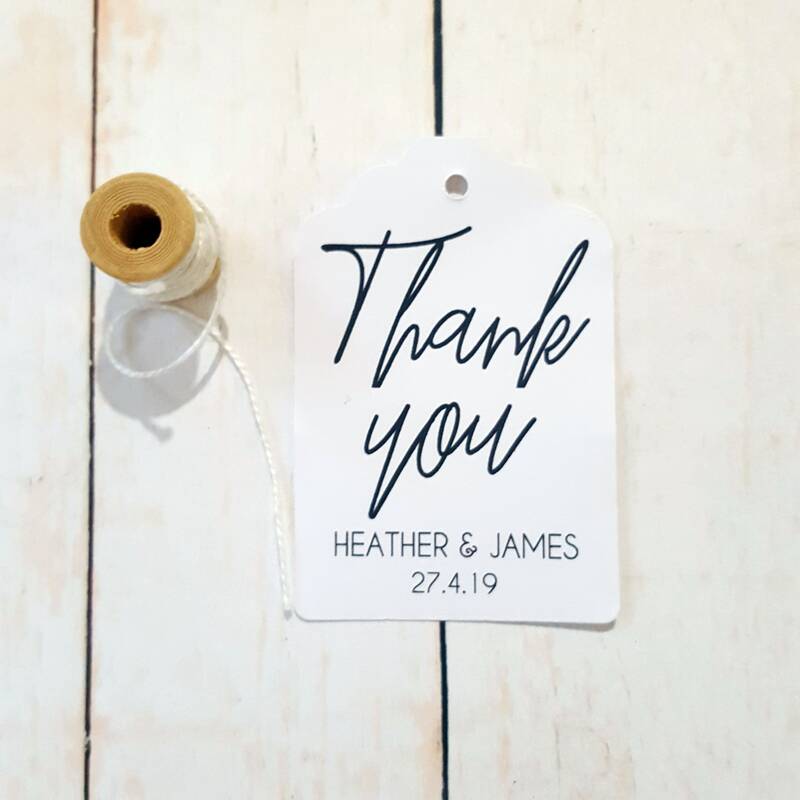 This listing is for 20 personalised wedding favour tags. Congratulations on your wedding! These wedding tags are gorgeous. Perfect for your big day. Need more than 20 tags? 5 = 100 tags, 6 = 120 tags, 7 = 140 tags, 8 = 160 tags.